Today’s guest post is from our buddy, Charles Yap, better known as @HotelPRGuy, who lives in London. Whenever we get to talking, Charles comes across as being as passionate about food as he is about his job, and he always tells me, if ever I were to be in London again, to look him up for a meal. The more we corresponded, the more I realised that Charles was in fact, really rather similar to me – a foodie at heart. I wasted no time asking him to do a guest post. Here he is with his travel tip on his favourite spots to eat in London. London is a truly international food city. You can find almost every national and regional cuisine here, you just have to look, rely on recommendations, and keep an open mind and appetite. I remember one Autumn evening starting off with French canapes and cocktails, moving on to satay and rendang for mains and to a Polish restaurant for dessert. Within a 10 minute radius from my home, I can count restaurants representing 22 different world cultures. I’m always hungry, here are my top 5 London foodie cravings. When I’m craving for sushi, the only place I’ll go to is Sushi Makoto, a ‘hole in the wall’ sushi bar in Chiswick. This place is small, unpretentious and authentic and the sushi and sashimi is of very high quality. There’s no innovative design or fresh ikebana here, the focus is on the sushi. In my numerous visits here, I share counter space with Japanese expats. I recommend sitting at the bar and watching Chef Komai prepare your dish. Coming here always reminds me of my favourite Tokyo sushi places. Nowhere else in London comes close. I love my meat and I love them even more when they’re served with very well prepared vegetables. St John Bar and Restaurant in Smithfield ticks both boxes. This is the temple for ‘nose to tail eating’, a British cooking style pioneered by owner Fergus Henderson. The menu here changes daily, Some of my faves include Roast Bone Marrow and Parsley Salad (a signature dish, always available), Rolled Pig’s Spleen with Bacon and Crispy Pig’s Cheeks with Dandelion. If you see chitterlings or middle white on the menu, please order them. Save room for dessert, alternatively bring the Eccles Cake home (chances are they’ll be finished before you get home!). London has a large community of Italian restaurants, and Theo Randall was named Italian Restaurant of the Year by London Restaurant Awards in 2008. Theo was the man behind the cooking at River Cafe, and counts Jamie Oliver among his friends and fans. His cooking is inspired by the simple, rustic and unfussy food he enjoys when he travels to Italy, and most of his ingredients are sourced from small artisan producers across Italy. My top picks here are Cape Sante (pan-fried diver caught scallops), Cappelletti di vitello (pasta stuffed with veal and pancetta) and Costata di agnello (roast rack of Somerset lamb). 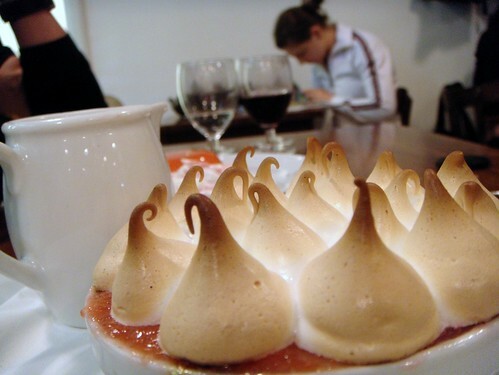 Dessert here is a must… the amalfi lemon tart is to die for. I come from Singapore and always have cravings for spicy home-style cooking. Tuk Din is my favourite Malaysian restaurant in London. The food here is authentic and Chef Tuk Din used to run the kitchen at Malaysia Hall (the canteen of the Malaysia High Commission in Queensway). Every time I come, I’ll order the satay goreng (marinated chicken cubes stir fried and served with rice cubes and peanut sauce), Persamah (roast coconut flavoured beef curry) and KangKong Belachan (spicy stir fried water spinach). Alcohol is not served here but there are many pubs and bars nearby. Still on the spice track, I highly recommend Tayyabs, a family-run Pakistani Punjabi restaurant in East London. The food is amazing and very affordable, hence the long queue, packed tables and rushed service. This is not a place you come to for an relaxing night out (although it’s absolutely yummy), and the quality of cooking more than makes up for the slightly crazy setting. Must orders here include the lamb chop and karahi king prawn. Look out for daily specials, like biriyani every Friday. Come with friends as they do not take bookings for parties below four persons. Alcohol is not served but you can bring your own wine or beer from a nearby shop (the restaurant supplies wine/bottle openers and glasses). Roll up your sleeves and eat with bare hands! Charles Yap (@HotelPRGuy) grew up in Singapore and has been living and working in London for the last three years. He is global brand social media head for IHG InterContinental Hotels Group, and enjoys dining, Chinese tea appreciation and photography in his spare time. Great Post! I too come from an area where there is a wide variety of international cuisine, but most of my life I have ignored them. I just recently started exploring the cuisine from around the world and I am addicted! Those pictures look delicious. 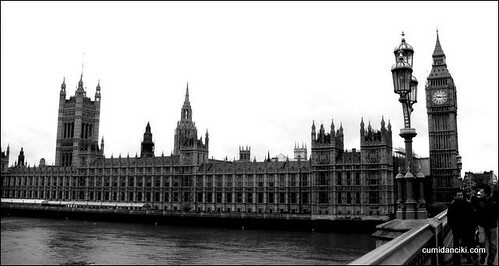 It makes me want to head to London right now…. well…. I guess it is dinner time, so I might have to wait…. Glad you like it @TravelWade! And Mei, thanks for the opportunity. Happy eating and safe travels! Tell me about it! The last trip to London I gained 3KG!! that was like in one week! Love the extended lunches and dinners. Sigh.. I wanna go back now! The meringue are really cute! 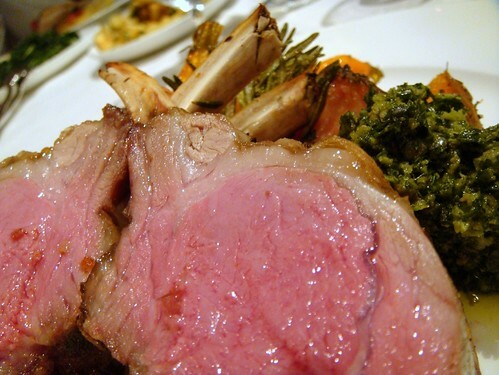 The roast rack of lamb looks delicious! Am hungry just looking at them. The red meats at St John are to die for! LOL, same here! we need to revisit Sean! I love Tayyabs: though be prepared to queue as it’s very popular. Another must-go restaurant in London for me is Ottolenghi – it seems pretty pricey for a selection of salads, but they are amazing. And the cakes/baked goods… mmmm. Hi Nadia! I’ve not been to Tayyabs but it’s now on my list! Ate at Tayyabs once with friends, food was yummy but what a big crowd!! Long S queues in the restaurant and all the way to the front door. You are killing me man!! I’m so hungry..
What about service level at these restaurants? I have left a tip at every one of them! Charles!! We want you Charles.. AHEM! INice post. Definitely bringing this list to London this summer. Summer! So jealous.. that’s like in 2 months time!! Charles the next time I’m in London I am definitely asking you for recommendations! loved this post Charles, made me hungry. How lucky we are to have so many different cuisines to experiment with! I particularly love Edgware Road for the variety of restaurants. My favourite place for tea and cupcakes is Sweetie Pies Boutique Bakery in Twickenham. heavenly cupcakes. the lamb cutlets look soooooooooooooooooooooo YUMMY! it’s just done the way I want it to be…. goodness….. I love your post as always!! keep it up!!!!!! Theo Randall??? I have to disagree on that one. By all means its not bad food, but it is not memorable either. What you have is good quality ingredients cooked very simply. The main problem here is the price (average £12 antipasti, £15 pasta as a starter, £30 mains and £10 desserts) That works out to £50+ for a 3 course meal. In comparison, Zafferano’s charges £50 for a 4 course meal and IMHO is a tad better when it comes to simplistic Italian cooking. Saying that, the Lemon Tart at Theo is very very good. For Italian gastronomy (think more Marcus Wareing, less St. John’s) Aspley’s is the place to go. Hold on you disagree with Theo on price and then recommend Aspley’s? The cheapest dish on their menu is £50.00! Good article – highlighting the hidden gems of London. 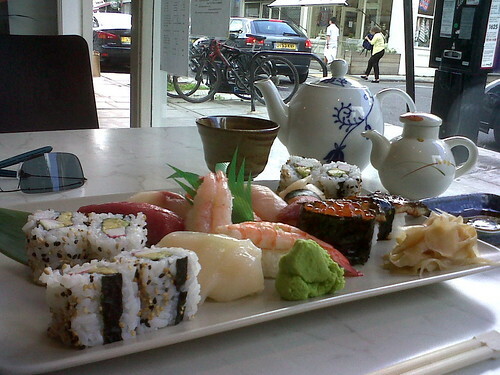 Everyone will always have their favourites and the sushi is top notch.